Mattress Firm is closing more than 200 stores over the next few days. Here's the full list. Business Insider/Mary HanburyMattress Firm is closing 209 stores imminently. Mattress Firm filed for Chapter 11 bankruptcy protection on Friday morning. As part of its bankruptcy restructuring, Mattress Firm could close as many as 700 stores, the company said. 209 stores will be closing in the next few days. Here’s the full list of those stores. Mattress Firm has filed for bankruptcy and is closing hundreds of stores. On Friday morning, the mattress-store chain said it would be closing up to 700 stores across the United States. 209 of those stores will close immediately. “The process we have initiated today will allow us to strengthen our balance sheet and accelerate the optimization of our store portfolio,” Mattress Firm CEO Steve Stagner said in a statement. With an estimated 3,272 stores, according to Wedbush analyst Seth Basham, Mattress Firm is the largest specialty mattress retailer in the US. It has increasingly come under pressure as startups such as Casper innovate the experience of mattress shopping and take market share. Mattress Firm has also been struggling under a heavy debt load. It owes the mattress producer Serta Simmons, its largest creditor, just over $US90 million, according to its bankruptcy filing. It has been an eventful few months for the company. In the span of a year, it has been accused by internet sleuths of running a money-laundering operation, announced it would be closing almost 200 stores, and watched as its parent company’s business practices have been investigated. 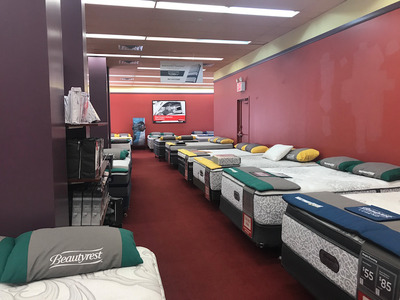 Last October, Mattress Firm filed a lawsuit against two former employees, a broker, and a group of developers accusing them of conspiring to push the company to aggressively expand and open stores.